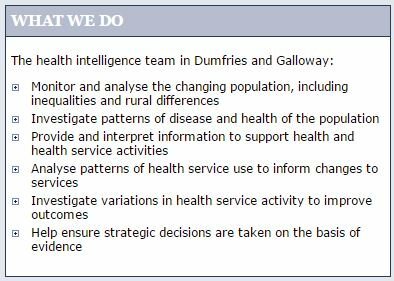 Health Intelligence is responsible for capturing and utilising knowledge to support decision-making to improve the health of the population. The following examples come from the first #ScotPublicHealth #Storify. They are intended as illustrations rather than a definitive exploration of Public Health Intelligence. 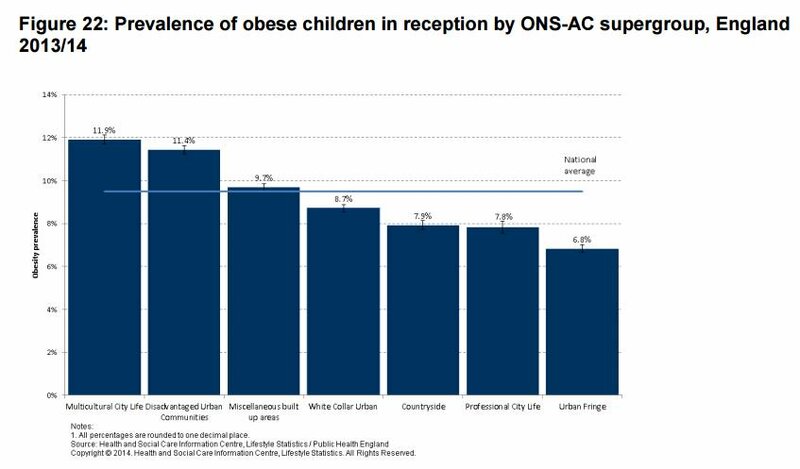 The English National Child Measurement Programme provides information on childhood obesity, and clear evidence of a socioeconomic gradient. Case mix: Health Intelligence Teams use a range of approaches and data sources. 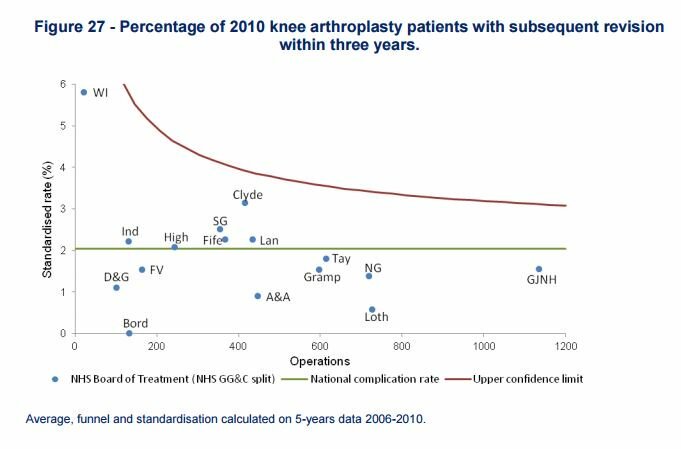 When looking at healthcare data, need to consider the impact of “case mix” – the differences between populations, settings and circumstances. A district general will have a quite different mix of patients to a tertiary referral centre taking the sickest patients from surrounding areas. 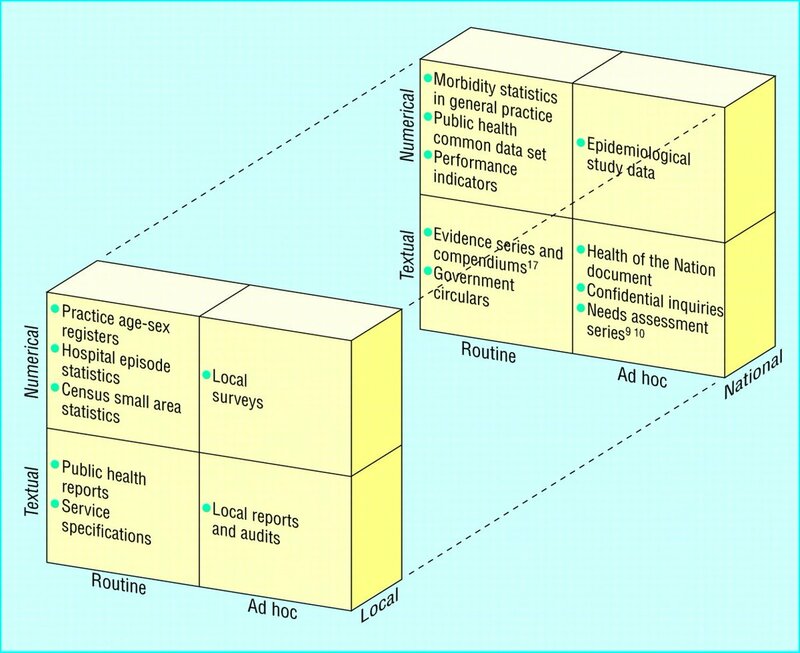 Health Needs Assessment uses data from multiple sources (qualitative and quantitative) to build a picture of population health. 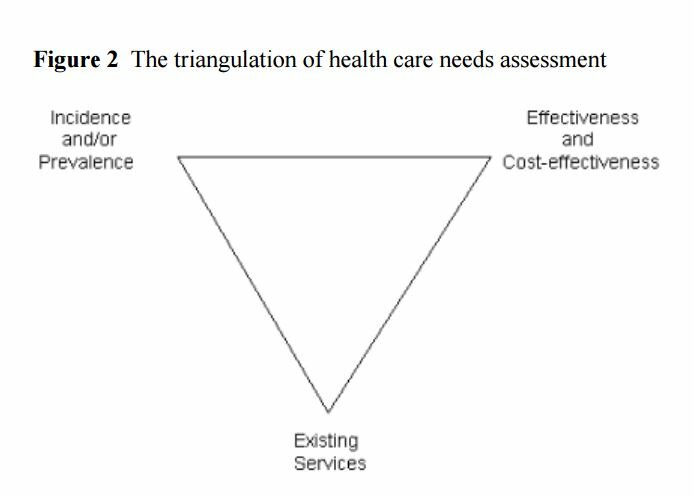 The BMJ ran a 6 part series on Health Needs Assessment in 1998 which provides a full overview. The following image is from the 3rd article in the series. If you don’t have access to the BMJ site then the here’s an open access alternative. Evaluation is another important role of Health Intelligence Teams. 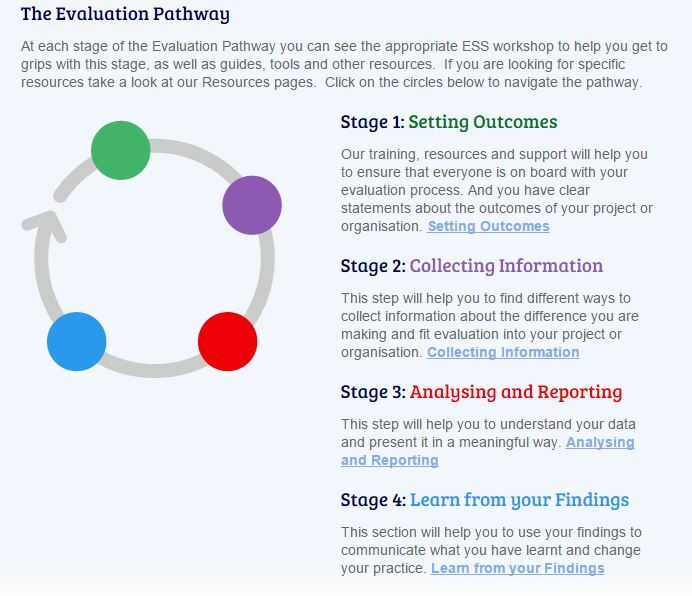 See tools from the Evaluation Support Scotland website. Record linkage: Health Intelligence Teams will often be asked to link datasets from different sources (eg lab and hospital discharge data). 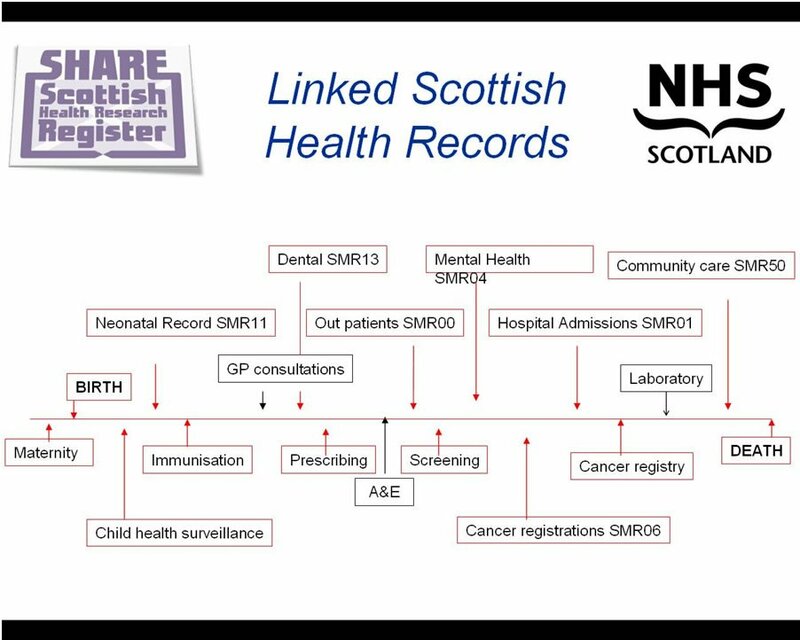 A summary of Scotland’s record linkage system. Record linkage provides a deeper understanding of health and social care issues. 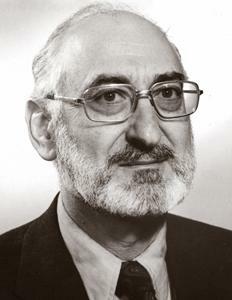 See case studies on Farr Institute website. Different uses of data: Health Intelligence data are used for quality improvement, governance & assurance Read the differences between these different uses in a Storify summarising a meeting between senior staff in an NHS Trust (Andrew Foster (Chief Exec), Dr Umesh Prabhu (Medical Director)) and the Care Quality Commission.